I received this yesterday. It was Blue Monday and I was soo gloomy I didn’t get around to posting about that day. Now as it’s Tuesday I’m a lot happier. I hope the rest of you are as well. 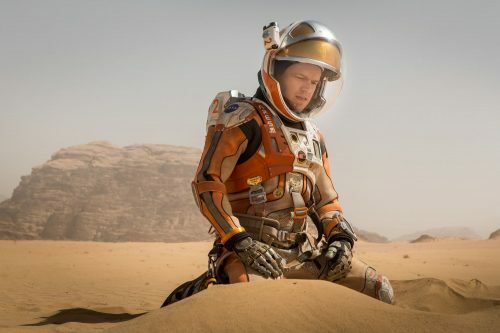 A survey to celebrate the Digital HD release of The Martian, out on 25th January, reveals that ‘listening to music’ is the number one way the nation remains positive during darker months. Like Matt Damon’s character Mark Watney, who is marooned on Mars but mentally perseveres using simple techniques, it’s the little things that keep Brits happy. ‘A hug’ came in second place, followed closely behind by ‘sunshine’, ‘watching a film on DVD’ and ‘booking a holiday’. The survey also reveals the top 5 reasons that cause the January blues, with ‘bad weather’, ‘colder temperatures’, having ‘less of a disposable income’ and ‘weight gain’ all being blamed. ‘Darker mornings’ came fifth, but was the number one reason to affect the moods of those aged over 55. Recognise and embrace the signs of positive change – each day is getting slightly longer and lighter. Mark Watney watching his potato shoots begin to flourish gave him hope for the future. Keep a lookout for the first leaves or bulbs, like snowdrops crocuses and daffodils pushing their way through the hard winter soil, meaning Spring isn’t far off. Exercise, meditation and deep breathing help raise feel-good endorphins – as does humour, something which Mark Watney managed to use to good effect in his messages to Earth. Indulge yourself, whether that means listening to the music that you love e.g. Mark Watney comforted himself by listening to disco music, or watching a whole Sunday’s worth of box sets and lingering in a long, scented bubble bath. These simple pleasures will help the month move along that much faster. Taking one day at a time, staying determined and positive and recognising that one bad day doesn’t make a bad month. Perseverance – however miserable January makes you, there is an end in sight and each day brings you nearer there. Comforting winter foods don’t need to be too fattening – this is the perfect month to enjoy homemade soups and low-fat warming curries and casseroles.